This Descendants Association is an informal organization, with its principal purpose being to keep alive the interest in our ancestors and to create a common bond of friendship among their descendants. There are no charges to become a member and no periodic dues. The only criteria for membership is that you provide a Pedigree Chart and/or Family Group Records (which are preferred) reflecting your known or suspected line of descent from Anneke JANS (via the children of her first husband, Roelof JANSEN; or from her second husband Domine Everardus BOGARDUS; or both) to permit the undersigned (William and Raymona Bogardus) to help you learn more about your ancestry. 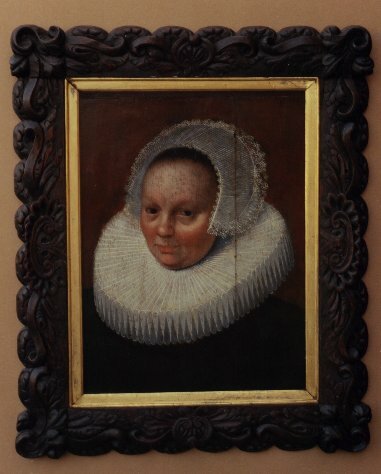 Although the lines of descent from Anneke JANS are our primary interest, we are also researching the early BROUWER, BROWER and BREWER families that are known (or suspected) to be descended from one of several different 17th century Dutch immigrants, i.e. Adam BROUWER of Brooklyn; Jan BROUWER of Flatlands; or Willem BROUWER of Schenectady. Some of the descendants of these immigrants later used the name BREWER and thus Pedigree Charts and/or Family Group Records on these BROUWER, BROWER and BREWER families and their descendants from the mid-1600's to the mid-1800's (or for whatever period you have information on) may be sent for our review. A "Dear Cousin" newsletter is usually sent at least once a year to all interested "cousins" to keep everyone up-to-date on the progress of our research activities. Our recent book, "Dear Cousin": A Charted Genealogy of the Descendants of Anneke Jans Bogardus (1605-1663) to the 5th Generation", provides an excellent detailed record of the known descendants of Anneke Jans (through both male and female lines of descent) down to about the mid-1700's. Research on the 6th and 7th generations for all lines is now in progress for a later publication and you may wish to ensure that your line of descent is included. Prior to our 1996 book, the most complete single record of the descendants of Anneke JANS was published in the July 1925 issue of "The New York Genealogical and Biographical Record" but covered only the first three generations. When the 6th and 7th generations are published, this will include the vital data on hundreds of additional families and thousands of individuals from the mid-1600's to approximately the early 1800's, with some dying in the early 1900's. Anneke JANS and Everardus BOGARDUS Descendants Assn. We will reply to your letters as quickly as possible but you should be aware that our volume of correspondence with over 6000 "cousins" sometimes creates a backlog, especially since our time is now primarily being spent on the 6th and 7th generations of descent." Please refer to this web page when you correspond. All information on these web pages are protected by copyright! NO duplication of any kind may be done without the expressed written permission of the Anneke JANS and Everardus BOGARDUS Descendants Association, 1211 Linhof Road, Willmington, OH 45177-2917. This web site and its contents in the format presented, except where otherwise noted on the page, are copyrighted by Cindy Winkler , William Bogardus and The Anneke Jans Everardus Bogardus Descendants Association and may not be copied, altered, converted nor uploaded to any electronic system or BBS, nor linked from any "pay-for-view" site, linked in such a manner as to appear to be part of another site including "frame" capturing, nor included in any software collection or print collection of any type without the express written permission of the authors of this site, namely, Cindy Winkler, William Bogardus and The Anneke Jans Everardus Bogardus Descendants Association.